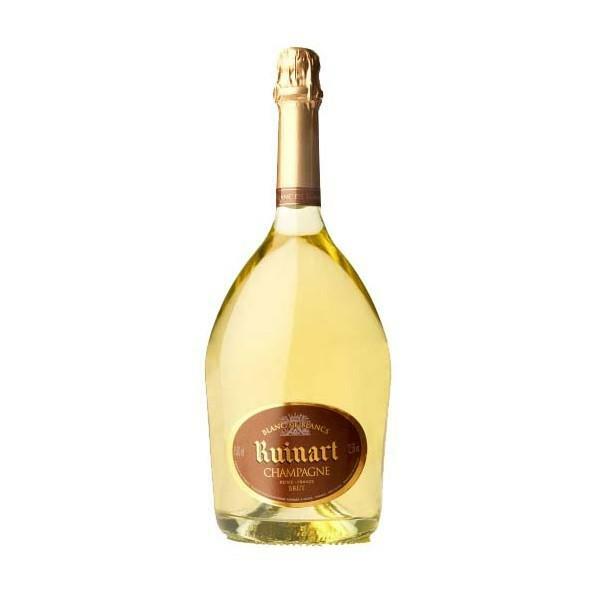 The winery Ruinart elaborates this Ruinart Blanc de Blancs Magnum (£136.40), a sparkling wine from Champagne with a blend based on chardonnay grapes and shows an alcoholic content of 12%. At Uvinum, this sparkling wine scores an average rate of 4,1 of 5 points while experts give the following evaluation: robert parker: 89 and wine spectator: 93. - View: pale gold, green and beautiful light reflections, fine and light bubbles, a delicate and persistent rosary. - Nose: fresh fruit, dominated by citrus and pineapple notes of white flowers and spices (ginger and cardamom). - Mouth: pure, clean and precise, smooth entry, fleshy, very refreshing grand final on notes of white peach. WINE PAIRING: Excellent for appetizer, shrimp, bream tartare with olive oil, lemon, grilled sole or white fish sashimi. This Champagne has a powerful yeasty character. With a hint of bitterness on the finish. Ruinart Blanc de Blanc Magnum has an excellent QPR. I bought it my partner in a wine shop. A beautiful vivid colour. Bakery smell at the end. Very oily for being a sparkling. A House that since 1729 creates its cuvées in the same way, with a spirit of purity, luminosity and elegance, characteristic of Ruinart's taste. Made only from Chardonnay, Ruinart Blanc de Blanc has exceptional aromatic palette. A charmeuse wine sublimated by a vial that will appeal to connoisseurs. - View: Very beautiful golden yellow Pi ¢ it with light green reflections, brilliant and luminous color. Active and persistent effervescence release. 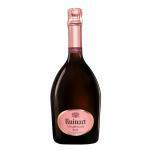 If you want to buy Ruinart Blanc de Blancs Magnum, at Uvinum you will find the best prices for Champagne. Get it at Uvinum, 100% safe, fast and easy. We bring you the largest catalog of more than 59.000 products becoming this way the leading marketplace to sell wine, beer, and spirits in Europe thanks to more than 38.000 customers who shop at Uvinum.